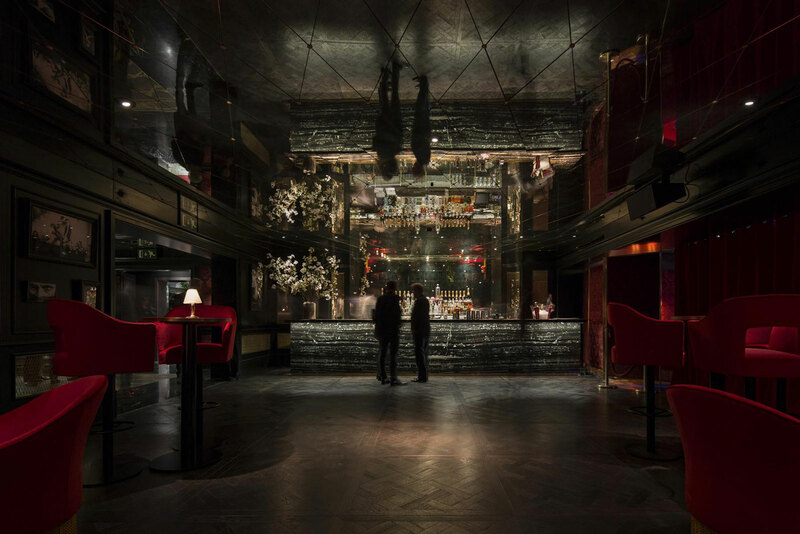 The Zuu live dinner experience & night club is one of the key public spaces that opened within the renovation of the Hotel Sofia in Barcelona. 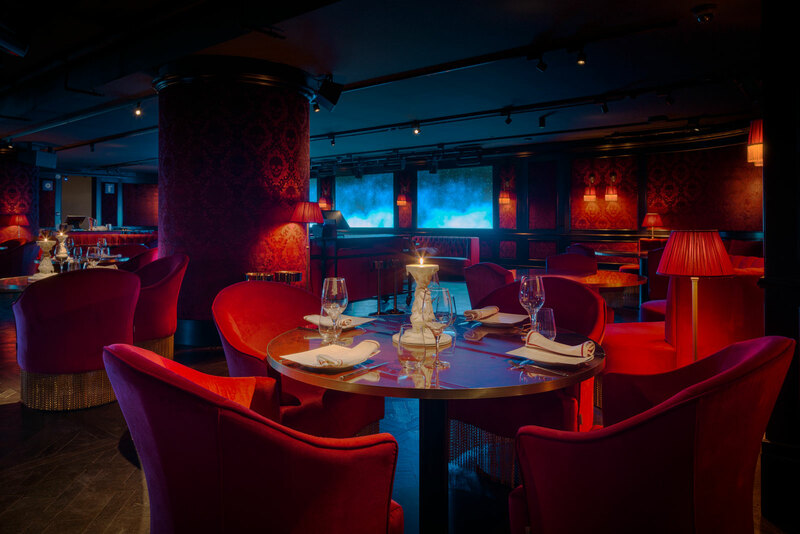 The burlesque restaurant is conceived as the first theatrical space in the city where performances take place while you experience a high-end dinner. 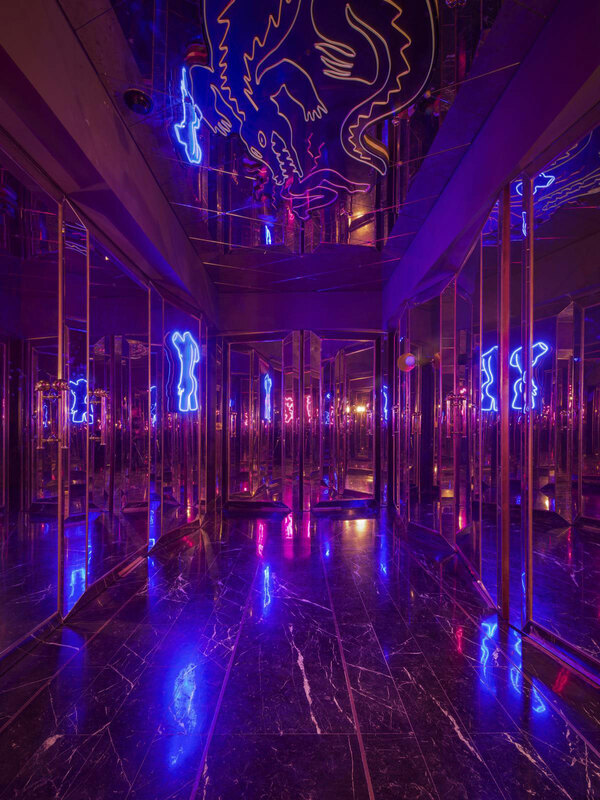 The space is designed for night time use, balancing the architectural and theatrical lighting of the space. 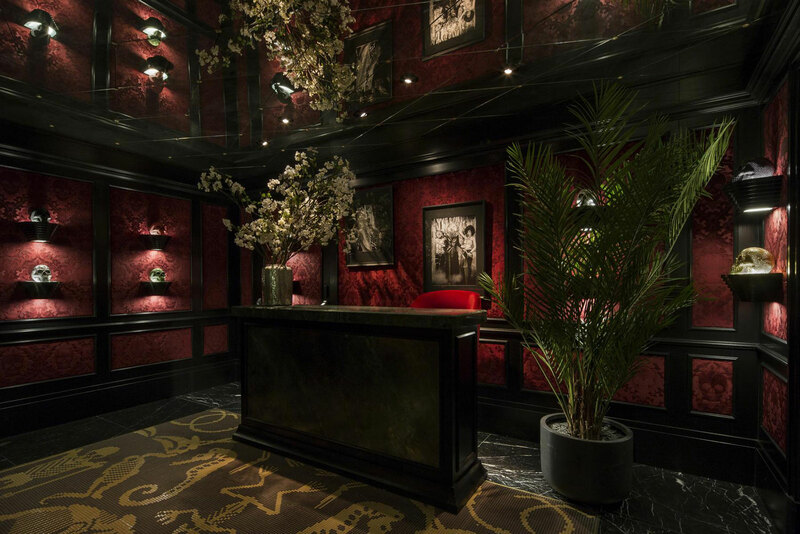 The lighting approach creates a low-level lighting scheme at entrance which gets lower while entering the space. 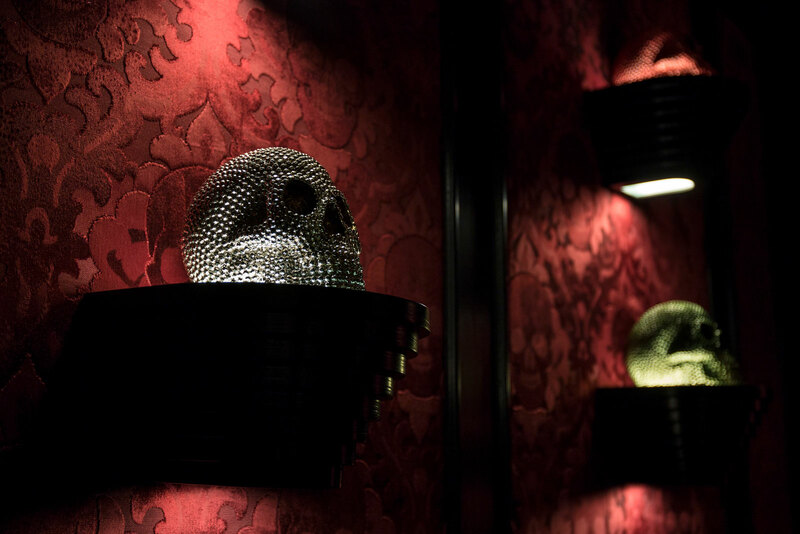 Vertical illuminance is prioritized at bar entry through scull sculptures and bottle display at bar area while cabaret type sconces are placed at perimeters of main space that allows the general spatial feeling. The dining experience is conceived through track mounted very narrow beam spotlights that provide accent at table and allow for the food tray which is always placed at center, to be visible. 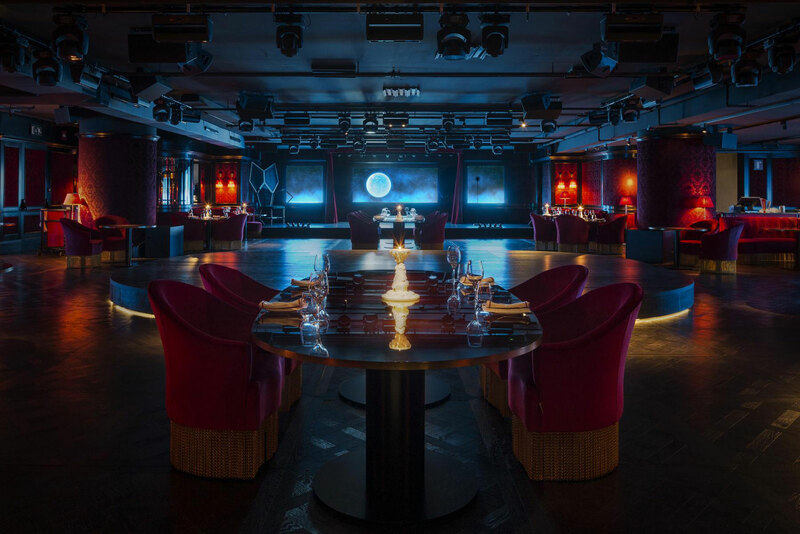 The project integrates the restaurants specific needs during cocktail hour, restaurant with and without performance as well as final drinks prior to closing for which a very close collaboration with theatrical team and restaurant management was created.